© Evan Cowitt. All rights reserved. Nothing but joy and praise for music live in the celebration occupied by The Polyphonic Spree and their fans during shows. It takes a special kind of performer to make connections so deep that over 15 years since hearing a song for the first time everybody on the dance floor feels the excitement as though it's that first time again. Special become extraordinary when the band numbers 18 strong, including two harp players. 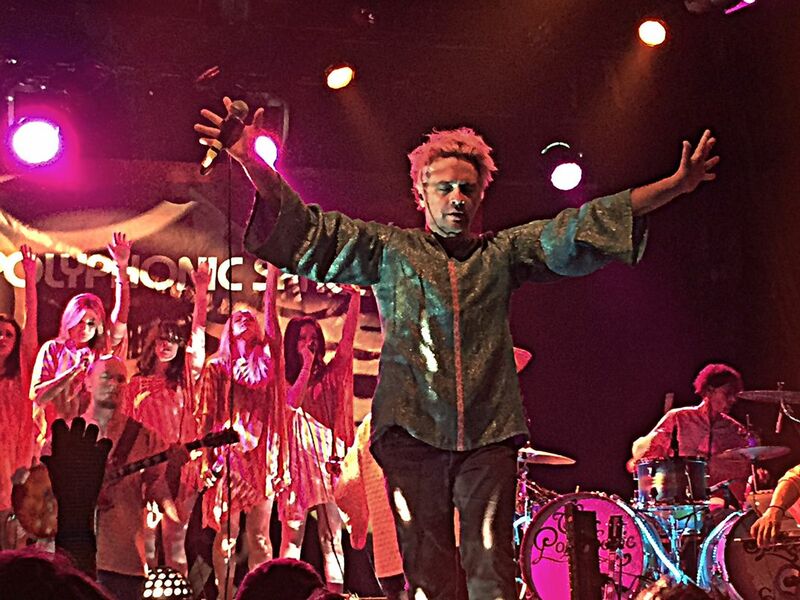 This pic was taken during TPS anniversary tour show at The El Rey, Los Angeles, November 20th, 2015. Date Uploaded: Dec. 14, 2015, 12:24 a.m.